Welcome to the new ChanceRides.com. We are making it easier for you to find the amusement ride, coaster and people mover information that you need. You can also subscribe to our newsletter and our blog to make sure that you are getting the latest information from Chance Rides. In addition to our website update we have added a web store for our replacement parts. You can find this under the services menu. Or you can bookmark parts.chancerides.com. We are working to build the store offering one product at a time. Currently you can find replacement parts for Zippers and C.P. Huntington trains. 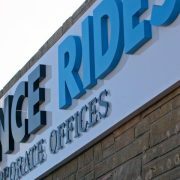 At Chance Rides our philosophy is, “If we can help our customers be successful then we will be successful.” We welcome any feedback you might have to help us bring you greater success. As we begin our preparations for IAAPA Expo 2017, I am very excited about the new things we have to show you this year. 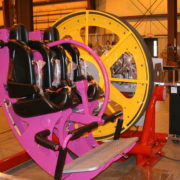 For the first time in several years we will have a ride experience right inside our booth. You’ll be able to board the Unicoaster 2.0 seat and experience the user-controlled rotation. The original Unicoaster was originally introduced in 2010 with our first ride installed at Belmont Park in San Diego, CA in 2011. We have now taken the Unicoaster outside the circle, with the same rider-controlled design you can now treat guests to the experience of a looping coaster. 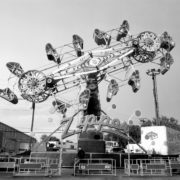 This amusement ride is perfect for catering to thrill seekers of all levels. 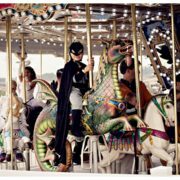 If the guest is more into a mild thrill they can remain upright traveling the course, while the more dramatic thrill seekers can flip and flop throughout the entire ride. In addition to the Unicoaster 2.0 we will again have a beautiful C.P. Huntington Locomotive in our booth, however, this is no ordinary C.P. Huntington. Our latest model is fully battery powered. The new technology involved with operating the classic C.P. Huntington on battery power will significantly reduce the required maintenance that is typically associated with a combustion engine. Not to mention showing your guests that you care about the environment, as our Electric C.P. Huntington Locomotive has zero emissions of harmful gasses. The show model is currently being tested at our facility to prove that it will sustain all day operation at your venue. Stop by booth #5124 to see the locomotive and let us share all that we’ve learned from the test runs. Chance Rides also has some guest passes available for IAAPA Expo 2017. If you still need a pass for the show please contact Lisa Hargrove at lisa.hargrove@chancerides.com. We look forward to seeing you there!